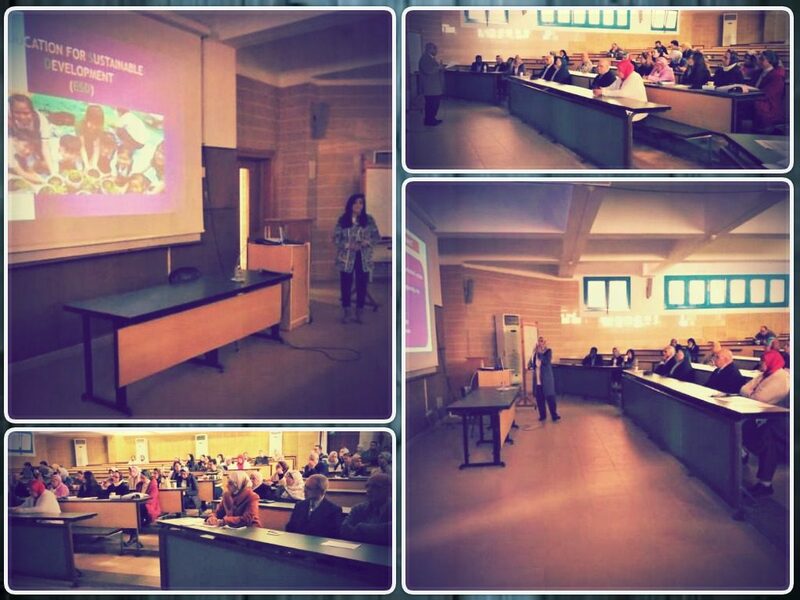 The faculty of Pharmacy and Drug Manufacturing held a workshop on “Sustainable Development Applications” on Tuesday 05/03/2019.The workshop was attended by Prof. Maged El Ghazouly, the faculty Dean, Prof. Soad Toaima, the Vice Dean for Postgraduate Studies and Research and Prof. Boushra Salem, the University President Advisor on International Projects as well as academic staff members. 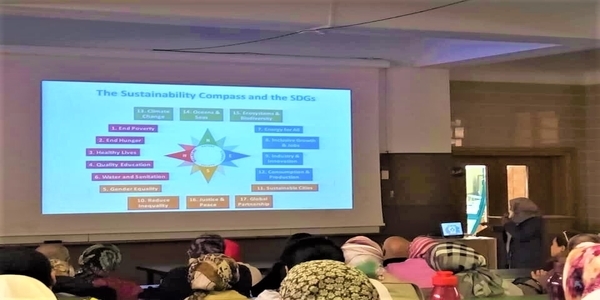 Prof. Hend Hassan gave an introduction about the definition of sustainable development, its goals and the current global trend towards it to tackle many environmental, economic and social issues. Those issues have occurred as a result of industrial revolution and its environmental pollutions which caused many diseases and deterioration in health, education and economy. She also mentioned the risks of imbalances between consumption of natural resources and the inability of the ecosystem to renew these resources. This is known as Footprint, which in return led to high poverty, starvation and ignorance. Then, Dr. Mennat Allah Ismail stressed the importance of sustainable development as a current global trend in all the fields especially in universities. 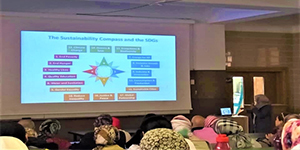 The last statement was made by Dr. Catrine Magdy Gerges who underlined the important role of education to reach the sustainable development goals.